SEO is a very important part of any website, blog and every freelancer with an online business. You should be efficient with planning and applying SEO to your website. We’re always in need of updated information for SEO for a brand new year. Here is a list of practical and easy tips for various and essential elements that effect SEO. Having a slow website is not only bad for users but also bad for your SEO rankings. Google Page Insights is a good place to check your site speed and get suggestions on how to make improvements. A good content management system will make your website that much better, especially for SEO. For me, there’s no better CMS than WordPress. I suggest installing the plugin Yoast SEO. Check your website for dead links. Having users land on broken or missing pages can be frustrating and cause a bad user experience. This can also have a negative effect on your rankings. There are multiple free broken link checkers you can use to identify any broken links and fix them. Having a website ready for all devices is more important than ever. Make your website responsive and improve your user experience. Content needs to be unique and bring in a certain element of freshness. No keyword stuffing and write your content in a natural conversational tone Different meanings of keywords through page – like a thesaurus. Google can then determine a pages relevancy. No duplicated content. It can negatively affect your search results. Keep your content recent and regularly updated. Aim for a good user experience on your page and use images/videos. Be sure this year that all your images have a relevant file name, ALT text, title, description and caption. This is crucial for ranking in search engines. Make sure you’re registered on sites such as Google my Business, Yell or Yelp (if it fits your business) and also social media. Claim all your usernames and URLs as soon as possible. Claiming your business is especially important for local SEO. When customers search your business name, address, phone number or website address – make sure you show up in the search. Much like my Basic SEO post, you must ensure your on-page SEO is up to standards. Use tools such as Google Keyword Planner to find better and different keywords for your website that you can target. Don’t link text like “Click Me,” or “Read More Here” etc. Use strategic anchor text to link to other internal pages. It is crucial to show the search engines the keywords that are vital to your business. Use only one H1 heading tag per page. Try to put the main keyword that the page is about in the H1 heading tag. Use unique H1 heading text for each page. The first word that goes in your title tag should be the keyword you have chosen for that particular webpage. Then you can add your brand name next. You can run a pretty good SEO check using Search Console. You can check for HTML improvements, crawl errors and mobile usability. Finally, run an SEO audit tool. This will make sure you fully check everything over and haven’t missed any crucial SEO edits. 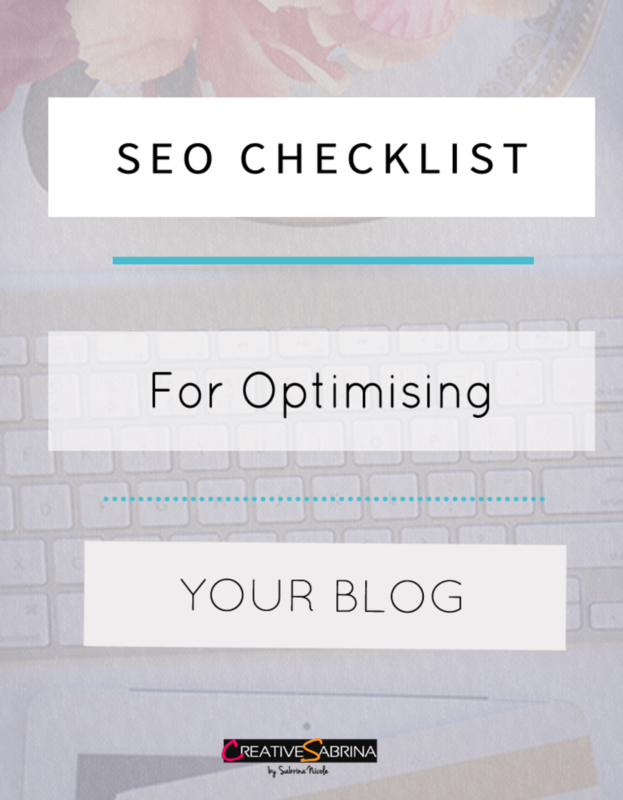 This is the 2017 SEO Checklist for Optimising Your Blog. Overall be sure to keep your SEO healthy in 2017. You don’t have to be technically savvy to keep your site in shape. If you do struggle you can always get me to help optimise your site! Getting traffic to your website is essential for bloggers, freelancers and website owners. This is why SEO is still important. What SEO practices are you making this year?